MYND is a programme developed by Stephen Boxer that focuses on getting youth offenders back on track. Rangatahi are equipped with the knowledge and ability to make better decisions as they move forward in life. Only the Department of Child Youth and Family Services (CYFS) can make a referral to the programme. Here are some amazing stories from the young men in our programmes. Some shining reviews from MYND participants. 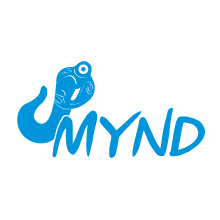 MYND is fully funded by the government but you can assist the MYND programme by supporting Graeme Dingle Foundation.